The LEGO Movie 2: The Second Part Arrives on Blu-ray, DVD and Digital: Enter to Win a DVD Copy! 9 Biblical Secrets to Jumpstart Your Prayer Life! Fun Crafts with PVC Pipe! Back to School Blast Giveaway! FREE iPhone app from RetailMeNot! Take a Break Tuesdays: Online Fun! The Institute for Excellence in Writing is one of my favorite educational companies, for so many reasons. I had heard about the great writing program this company created, and decided to use it with my girls about 5 years ago. Today, not only are they both really good writers, but they enjoy writing. Watching Andrew on the DVD's was always something they looked forward to. My favorite part of the program was the list of banned words; words like nice, fine, and run. These and a long list of other words were never to be used, so a thesaurus was close at hand, and still is in our home. IEW also has a High School Essay Intensive which teaches students how to write an essay for the SAT. The first time I saw this, I wanted to stand up and applaud! Andrew makes it so easy, you'll wish you had been taught this way. I know I do! The other aspect of IEW that I love is the Leadership Education. If this is new to you, check out the book by Oliver & Rachel DeMille. July 9: Inspiring Aspiring Entrepreneurs, or What I Did on My Summer Vacation- inspiring children and teens to create a business this summer. 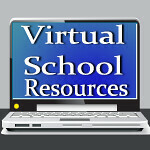 A few other webinars are available on the website, including one for teachers. Don't miss this valuable free resource! If you've used IEW, I'd love to see your opinion in the comments! By the way, I am not affiliated in any way with IEW, I just love their products! Thanks so much for you blog post, Kelly! The webinars are informative and sometimes entertaining!